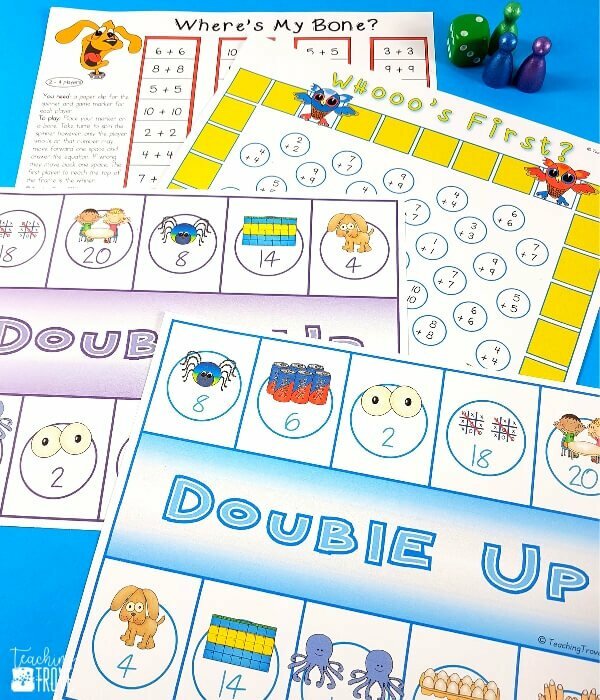 Once first grade students master counting on addition, the next step is learning their doubles facts. 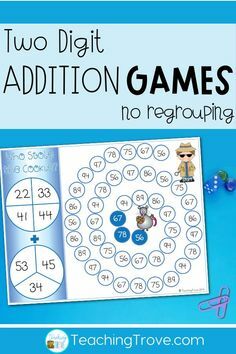 The doubles facts are addition facts in which a number is added to itself. 1 + 1 and 2 + 2 are both doubles facts. 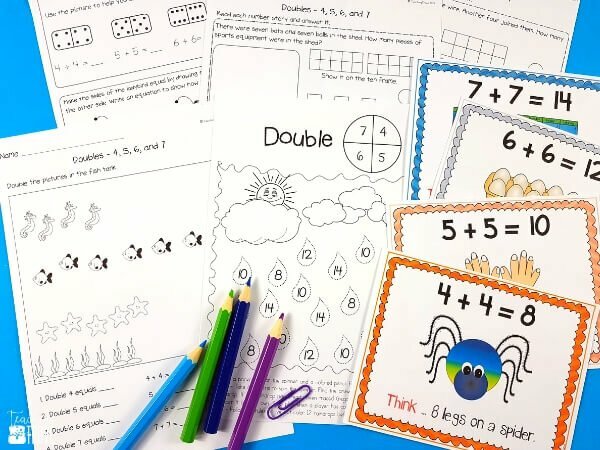 When students know these facts, it’s easy for them to use them to solve their near doubles (doubles + 1 such as 7 + 8 and doubles + 2 such as 6 + 8). 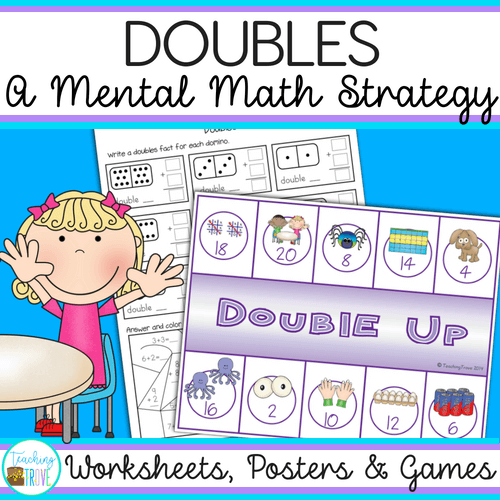 Unlike the count on facts which have a thinking strategy, the doubles are a set of facts we need our students to memorize. The easiest way to do this is to use pictures as a memory trigger. There are many things in our environment that can be used to help. A dog has four legs, two in the front and two at the back. A spider has eight legs, four on each side. In an egg carton, we have two rows of six eggs. 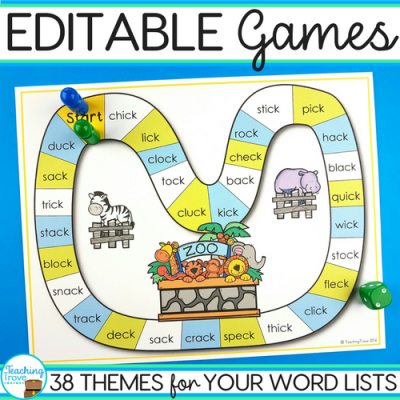 Ask your kids to come up with ideas and list them. 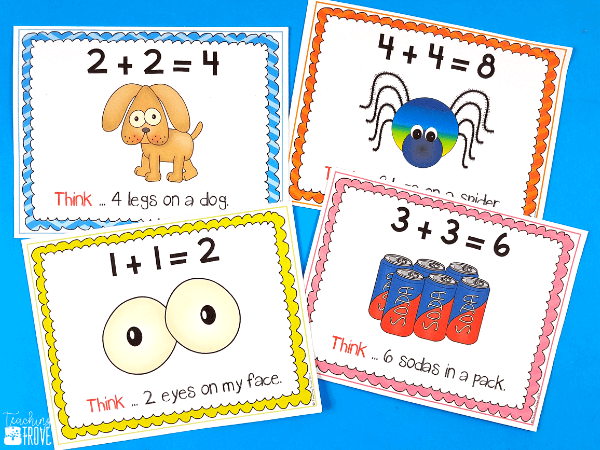 By exploring the environment around them, kids see their doubles facts as quantities rather than symbols. Make your own posters based on their suggestions or use the ones in the doubles pack. 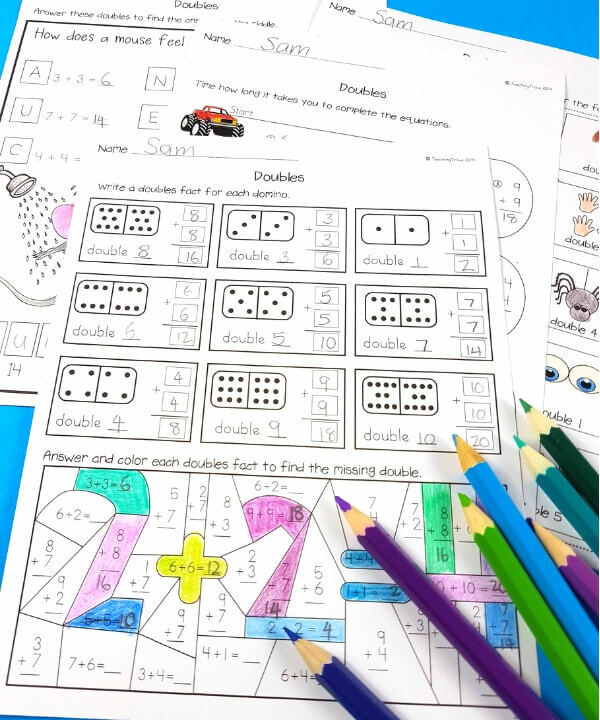 While there are only ten doubles facts to learn, we don’t want to stress our kids with too many facts to learn at once so I always break it down into manageable chunks. To do this we learn to double one to four first. 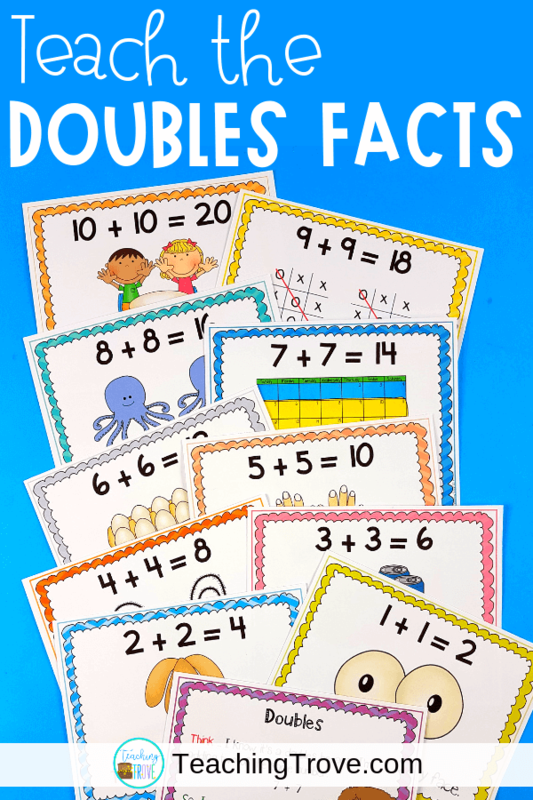 Picture cues are important for learning the doubles so only show your students the doubles facts from 1, 2, 3 and 4 with your wall poster. 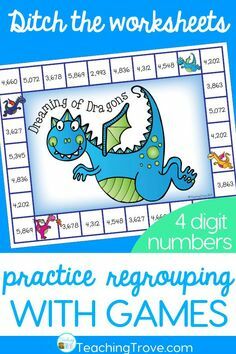 This helps them visualize the workings of 1 + 1, 2 + 2, 3 + 3, and 4 + 4. 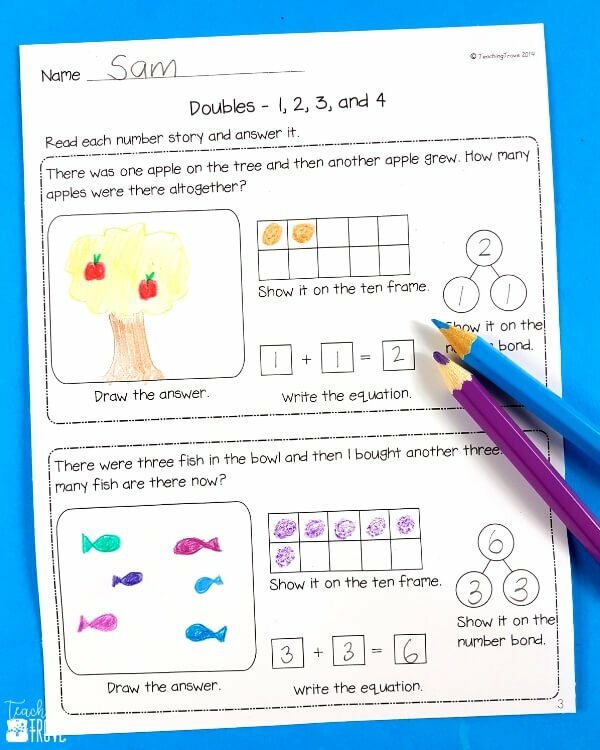 We want children to see that the doubles facts are simply adding a number to itself. 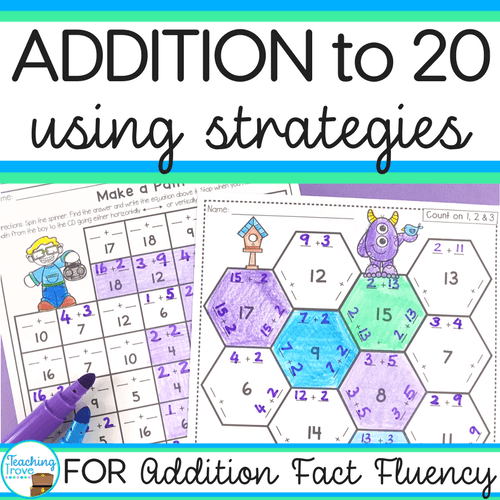 To have fact fluency, students need to have automaticity with their doubles facts and this means they need lots of practice. 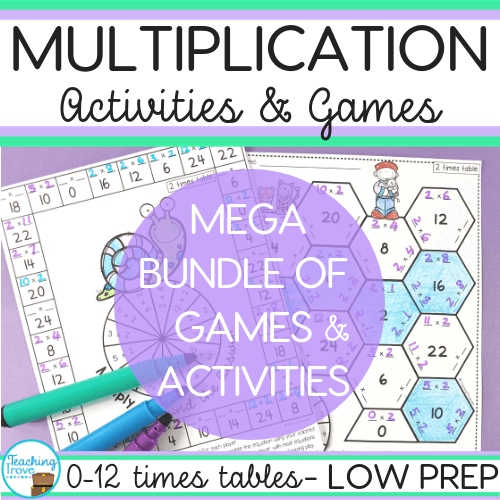 Use an assortment of different activities which show the doubling strategy. 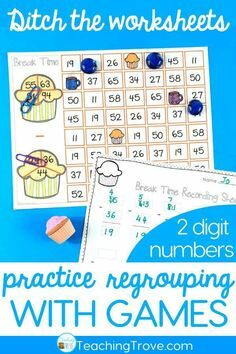 Continue to reinforce to our students that they can think of things from the environment to help them remember the doubles facts. Of course, if you have posters already on display, this is a better visual prompt. 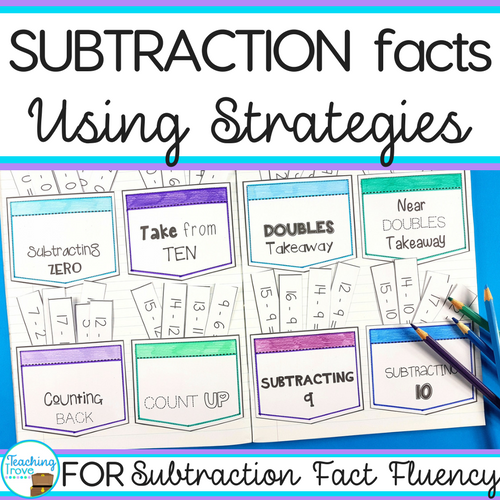 Use number stories to help your students learn their doubles facts. 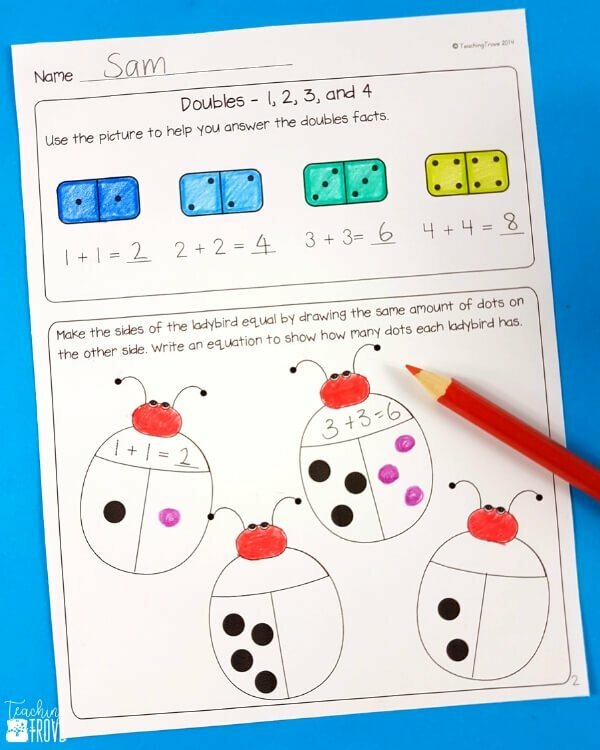 By drawing the problem, students see that these facts are just doubling the number. 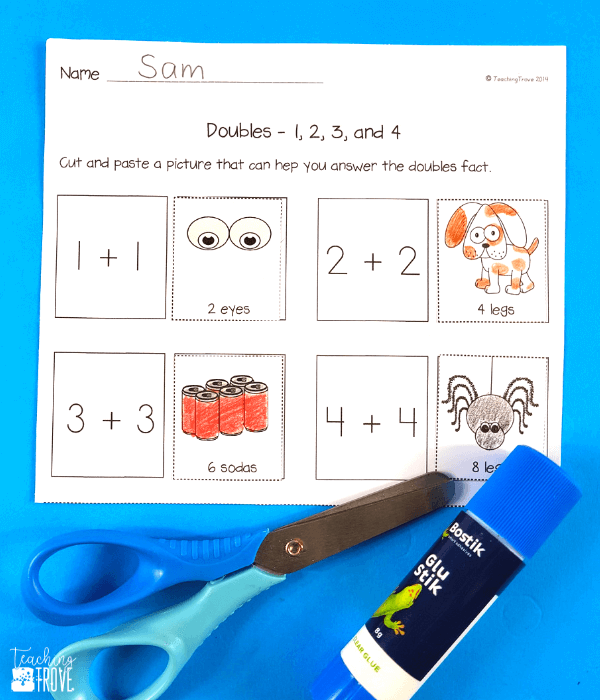 Once children have grasped the concept for the double facts through to 4, revise doubling 4 and introduce doubling 5, 6 and 7. Once again, it’s important that they use picture cues to help them remember their facts. 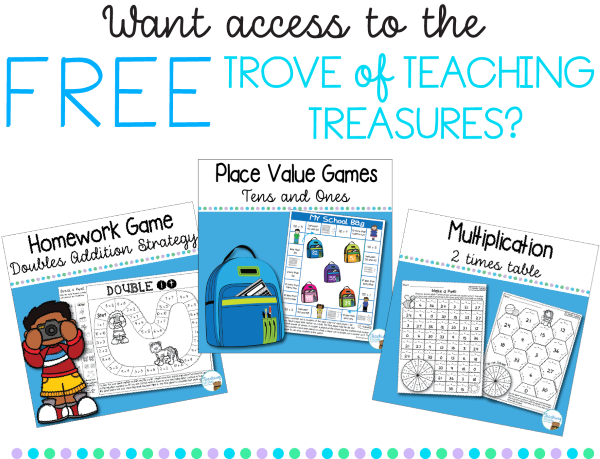 An array of activities helps to consolidate the doubles facts you’ve introduced. 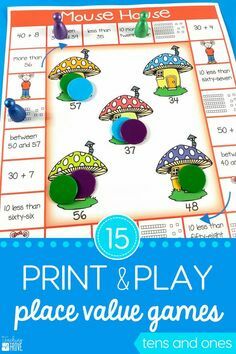 Once your kids have got that, move onto doubling 8, 9 and 10, then mix them all together. 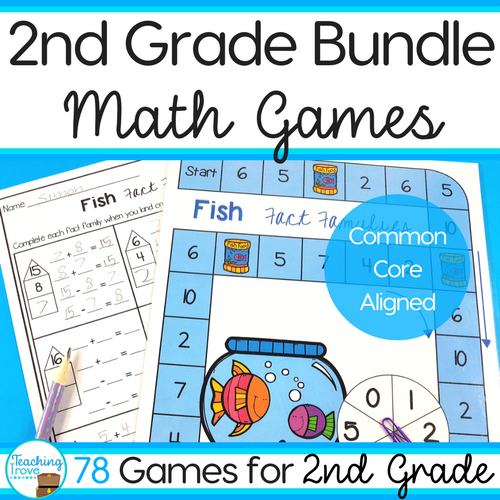 Games are perfect for practicing new skills in a fun and motivating way. I especially like that kids get automatic feedback from their peers when they play together. There’s no chance of them doing a whole worksheet incorrectly. 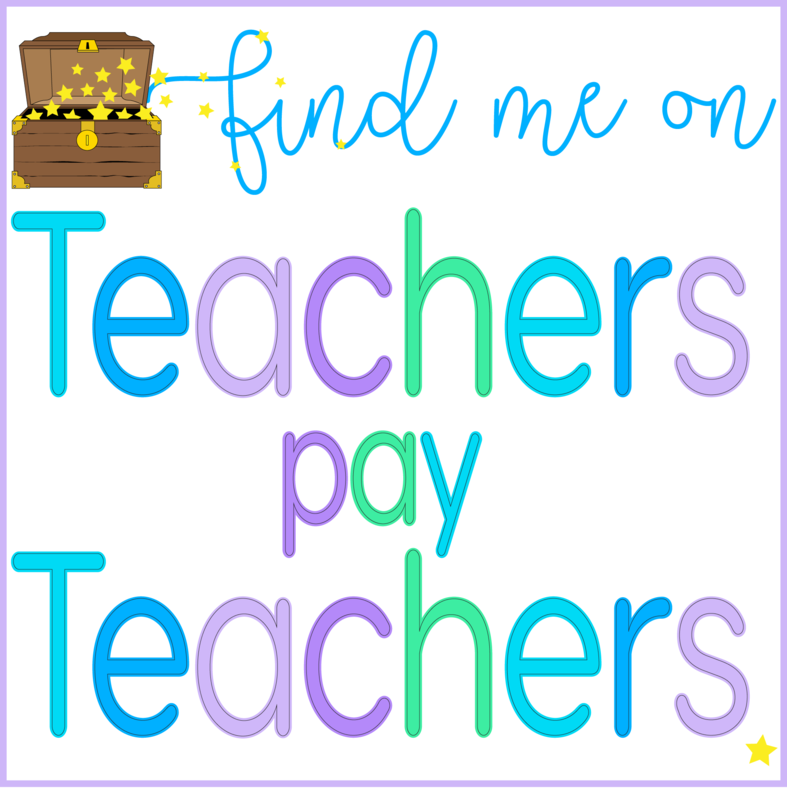 If a structured approach to teaching the doubles is what you’re after, you can grab a pack from my Teachers Pay Teachers store.